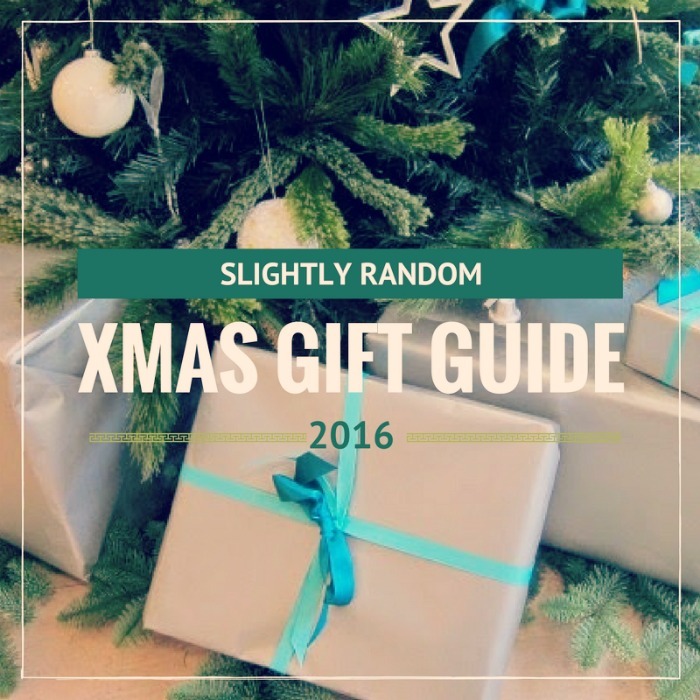 Christmas Gift Guide 2016: Slightly Random, Mostly Affordable, Hopefully Something For All! 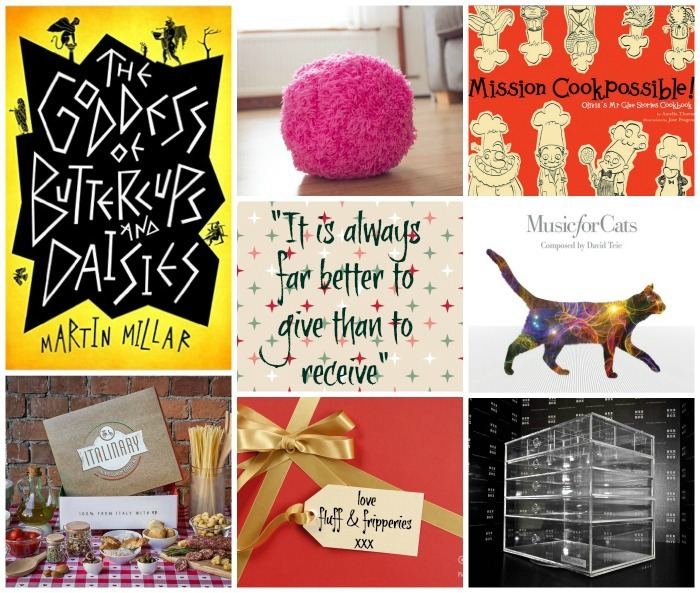 With less than a month to Christmas now’s the time to get into serious gift buying mode. If you’re still struggling with some of the people on your nice list, then we’ve got your back with an admittedly random selection that should hopefully have wide appeal. Keep your eye on the site later this week too, for Mr Fluff's pick of the best bits and bobs for the menfolk. ONE: This whole site is pretty much a beauty wish list so if there are lovers of makeup, skincare or perfume on your list, then have a rummage and see what’s impressed from the latest launches. But if you live with a makeup hoarder, then this gift will do as much for your sanity as it will for theirs. HerClutterBox sent me their Crystal Clear 4 Drawer box and I like it even more than I thought I would: larger and more sturdy than my Muji storage, it comes with acrylic drawer dividers so your gift recipient can organise and reorganise their stash to their heart’s content. While the boxes are spendy, they’re handmade here in Ireland from high grade durable acrylic, and made to last. Plus, there’s a sale on their website right now, so the 4-drawer unit is down from €145 to €125. TWO: I always moan that I don’t get more books at Christmas, but I understand the issue. How do you pick something for the bookworm in your life that they haven’t read already? Well, here’s a great modern writer that they’ve probably never heard of. Neil Gaiman said he “doesn’t understand why Martin Millar isn’t as celebrated as Kurt Vonnegut, as rich as Terry Pratchett, as famous as Douglas Adams. But the world is full of mysteries.” And if you know someone who likes the works of any of those authors, including Gaiman, then gift them a Martin Millar book this Christmas. In case anyone is wondering (hem, hem), I haven’t read this one yet. THREE: Books are also great for the little ‘uns and this one really tickles my fancy. Mission Cookpossible is a personalised cookery adventure, with an engaging story and range of child-friendly recipes. Order from the website where you can add the child’s name and choose some other elements of the finished product. FOUR: Apparently, robot cleaners are a big trend in Japan and the cuter the better. I never thought I’d coo over a household appliance but watching the video of this little guy doing its thang has won me over. This is an especially good gift for pet lovers: not only does it attract pet hair, but apparently it doubles as the best cat toy in the world, ever, too! In case anyone is in any doubt, I WANT ONE OF THESE ‘K THANKS. FIVE: And speaking of our feline friends, Fitzroy’s favourite thing this year* has been her Music for Cats cd (which the dog and the Mister both hate, but I also find deeply relaxing). Far from being a gimmick, this is the brainchild of a cellist and composer, Davie Teie, and has been “scientifically proven to enrich cats lives”. It seems to have a sedative effect on my moggy, and will often lead to extended grooming sessions and excessively languid poses. Buy it for the cat, or the cat lover, in your life. *after her food. Obvs. SIX: Everyone loves Italian food, and for good reason. That’s why I like the sound of ITALINARY, an Italian start-up that selects great quality products and ingredients, packages them up into nice boxes and sends them, without an extra delivery charge, to wherever you want. You can buy single boxes or invest in a subscription (one, three, six and 12 months are available) and each box has 7/8 ingredients that you can transform into a starter, first course and dessert. SEVEN: Finally, vouchers get a bad rap but, while the more generic ones might seem a little impersonal, choose wisely and you’re sure to delight. My hairdressers, Davey Davey, are doing gift cards, which I think is a brilliant idea (and since I’m never out of the place I would love one for myself). I’d also love a voucher for my (excellent) neighbourhood beauty salon, Allure, which I wrote about over here. Would you like to open up any of this little lot come Christmas morning?